The 120L motor mixer is widely used in construction, home repair,chicken farm, pig farm,compost, industrial raw material, fish farm, holothurians farm, seed and solid or liquid with little viscosity. It can be used as facility concrete plant, applied with PLD1200 batching machine. Advanced hydraulic pressure system is adopted to open and close the discharging door. under the situation of sudden power failure, the manual pump can be used to open the discharging valve for emergency discharge to avoid agglomeration. Lubrication system to make the mixer service a long life. 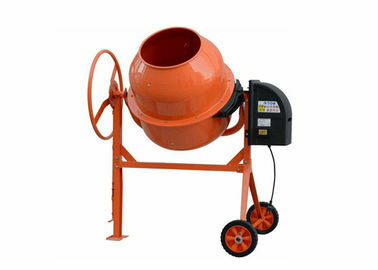 This mixer is a self-falling and movable concrete mixing machine, discharging with the double wimble rotating reversely. Security protection device to keep the safety of maintenance stuff.